On February 18, 2004, I received a phone call from the Musée de l’Homme in Paris informing me that Jean Rouch had died unexpectedly in an automobile accident while filming in Niger. The information was meant to be forwarded on to my boss, John Marshall, Rouch’s dear friend, fellow filmmaker and occasional collaborator. Although Rouch was 85 years old, the news still came as a shock. We had known him to be robust and full of the same creative spirit that produced over 120 films, starting in 1941 when he arrived in Niger as a French hydrology engineer to supervise a construction project. While Rouch is considered one of the most influential filmmakers of the 20th century, his films have been difficult, often impossible, to obtain for viewing in any form in North America. This was due in part to copyright issues, technological challenges and financial agreements made in order to facilitate the original productions. Thanks in part to the French Centre National du Cinema, Les Films de la Pleidade and Icarus Films, this four-disc boxed set of eight HD digital restorations of films by Rouch and one documentary about Rouch is now available on DVD. It was a long time coming, as Rouch would have celebrated his 100th birthday on May 31, 2017. Whether you are a Rouch aficionado or among the uninitiated, I recommend that you begin your viewing experience with Jean Rouch, The Adventurous Filmmaker, the 55-minute film on disc four, made in 2017 by French filmmaker Laurent Védrine. This documentary homage, voiced primarily by Africans who still feel Rouch’s influence alive among them, clarifies his position, beyond any doubt, as the father of Nigerien cinema. Long regarded as a practitioner and creator of the term “ethno-fiction,” Rouch was also an inspiration to French New Wave filmmakers such as Godard and Truffaut. In this documentary tribute, it is refreshing to see and hear the African perspective on Rouch the man, whose reputation is firmly rooted in the soil of Niamey, on the banks of the Niger River, where his body now lies. Rouch, trained as an anthropologist and an engineer, combined all his life experiences and curiosity about human nature in his films. Influenced by Robert Flaherty—Nanook of the North in particular—Rouch was aware of the power of fictional storytelling and went on to make films that transcended reality, entering the world of surrealism and art. Disc one includes three films from the 1950s: Mammy Water / Mami Wata, The Mad Masters / Les Maîtres Fous and I, A Black / Moi, Un Noir. The most widely discussed, controversial but celebrated of the three is Les Maîtres Fous, which was banned in France when first released and is as shocking today as when it was made in 1956. The reaction was equally strong in Africa, particularly in the Muslim world, which regarded the possession ritual/cult of Hauka performed by the secretive sect that Rouch filmed as transgressive. I have viewed this film many times and I am always shaken by it. Seeing the physical transformation of human beings as they convulse into otherworldly characters, metaphors for the trauma of colonialism visited upon them, is unmatched in any realm. Shot in 1959, with a release date of 1961, The Human Pyramid / La Pyramide Humaine, the first film on disc two, explores racism and friendship between black and white teenagers. Like many of Rouch’s projects, it is a film within a film, a commentary on the process of filmmaking. Revealing discussions among the two groups of teens about apartheid in South Africa and racially charged politics in France play out against a spectral, beached shipwreck as the two groups of teenagers mingle and retreat like a tidal ebb and flow. This film should be required viewing in every high school classroom in America today. The Lion Hunters / La Chasse Au Lion à L’Arc, filmed over a period of seven years, seems to have suffered the most in terms of color fading. The sepia tones of this digital version reflect the words of the formal English voiceover, declaring the location on the border of Mali and Niger as “the land of sand and mist.” This is the most purely “ethnographic” film in the collection, reminiscent of John Marshall’s 1950s classic The Hunters, and recalling the early work of Robert Gardner. Detailed shots exploring the rituals of poison-making, as well as gender-based restrictions on behavior to protect the viability of the hunt, are clarified. We also meet Damouré Zika, a Nigerien who becomes Rouch’s closest African collaborator. It was Zika who introduced Rouch to the world of Songhay spirit possession, a subject that Rouch continued to investigate for many years. Jaguar, the first film on disc three, is essentially a road-trip film on foot, featuring Zika along with three other African collaborators: Lam, a shepherd; Illo, a fisherman; and Douma, a farmer. Filmed in 1954, with a release date of 1967, this film’s lighthearted veneer thinly veils the trials and tribulations experienced during the migration of the Songhay people from Niger to the West African coast. The sound editing is complex, with a catchy music track, voiceover narration, mixed with interjections and transitional commentary by Rouch along with sync sound and dialogue by the principal participants as they reflect on events as observed after the fact. The characters that first appear in Jaguar show up again as the principal actors in Little by Little / Petit à Petit. IndieWire called this film “a truly mesmerizing, frequently hilarious, and provocative masterpiece.” Technically, this film looks fresh, the color as intense as when it was made. A multilayered philosophical musing on the definition of “progress,” this film appears to be the most consciously structured of all the Rouch films offered in this box set. A very funny reverse ethnography sequence occurs in the middle of the film, when the Africans travel to France and conduct an observation-based analysis of late 1960s Parisian life. Petit À Petit also features some of the strongest, well-defined female characters to appear in any of Rouch’s films. The Punishment / La Punition, a 1964 black-and-white film shot on the streets of Paris with an all-French cast, was unfamiliar to me. It had a film-noirish feel, and seemed most Godard-like. A beautiful, teenage girl is chastised and sent home from school for not paying attention in class. The camera follows her as she leaves the building to wander aimlessly across the city, encountering a random set of men, all of whom are attracted to her youth and beauty. She engages in a range of philosophical conversations about boredom, freedom, the possibilities for adventure, finding love, and happiness. There are no satisfying answers and we are left with a vague sense of hopelessness and limited opportunity. An informative booklet that includes essays from anthropologist Paul Stoller and IndieWire Deputy Editor Eric Kohn accompanies this box set. Kohn discussess Rouch’s 1961 classic, Chronicle of a Summer / Chronique d’un été, which he co-directed with sociologist Edgar Morin. It is probably the best-known Rouch film in the US because of its relative availability. 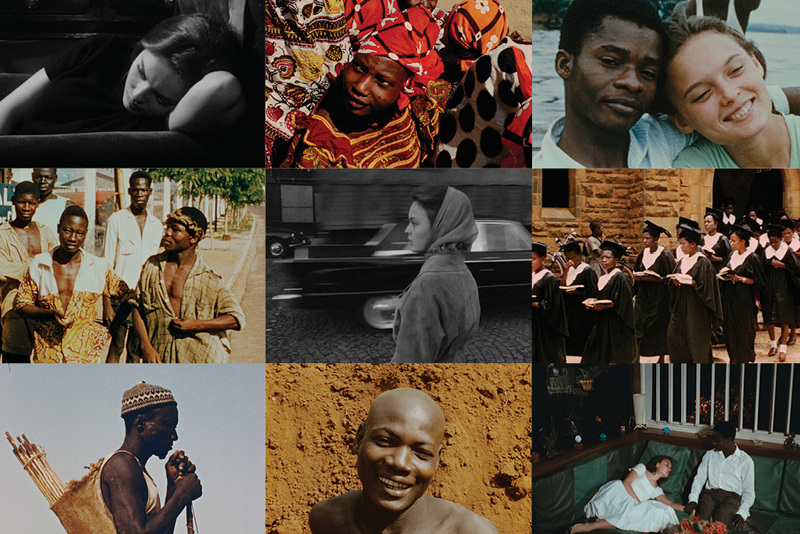 Now, with the release of the reasonably priced Eight Films By Jean Rouch, the legacy of Rouch will be felt in North American cinema circles for generations to come. Cynthia Close is the former president of Documentary Educational Resources. She currently resides in Burlington, Vermont, where she consults on the business of film and serves on the advisory board of the Vermont International Film Foundation.